Unsung Hero - How much did that video cost? Earlier this year, while scrolling through endless Facebook posts, I stumbled upon the video Unsung Hero. Now it’s quite common to find cute videos on Facebook, but it’s not everyday that that video is a life insurance commercial from Thailand. Unsung Hero is a very simple concept that executes visual storytelling so effectively it may well have you tearing up by the end of three minutes. By seven seconds into the video you’ve gotten to know what type of man our Hero is. By twenty seconds you’re questioning his choices, but as time passes you find yourself idolizing him so that by the end his contentedness becomes yours. Even the secondary characters have arcs. This three minute video has better character development than some feature films! It not only leaves you feeling warm and fuzzy inside, but slightly inspired to be a happier more benevolent human being. In terms of production I’d guess Unsung Hero had a moderate budget. It looks to be shot very simply, no ronins, cranes or jibs. The camera and lenses they used had good dynamic range, high speed capability and a nice soft look. There are quite a few locations each with excellent set design. The costume, hair and makeup departments had a lot on their plate since the story takes place over at least a few weeks. Their work was pivotal to getting the passage of time across to the viewer. Eight actors are featured in this commercial in addition to a dog and two chickens who would have required animal trainers and wranglers on set. All in all, I’d say this production would have likely felt more like a short film than a typical commercial. It must have had a fairly large crew and shot over a number of days. Post production even had a bit of special effects to pull off with the computer generated butterfly. And you cant forget the score, a pivotal part of the emotional impact of this video. All those skilled workers, locations and logistics costs add up. Many of the scenes take place on public streets so permitting alone would have been pricey. 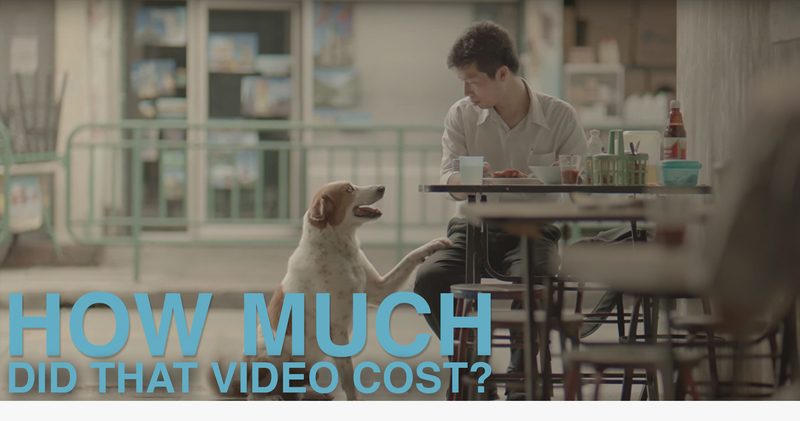 I’m no producer, but I’d estimate the cost of this video to be between $300-$600k. Of course it being made in Thailand no doubt affects the cost one way or another, but having never worked in Thailand I can’t comment on that. What I do know is that whatever they spent was well worth it. It’s not often that you find people writing blogs about a life insurance commercial. Check out more from Sara on her Notch profile.